Our origins go back to 2003, as an e-mail group for LGBTIQ Swans fans. 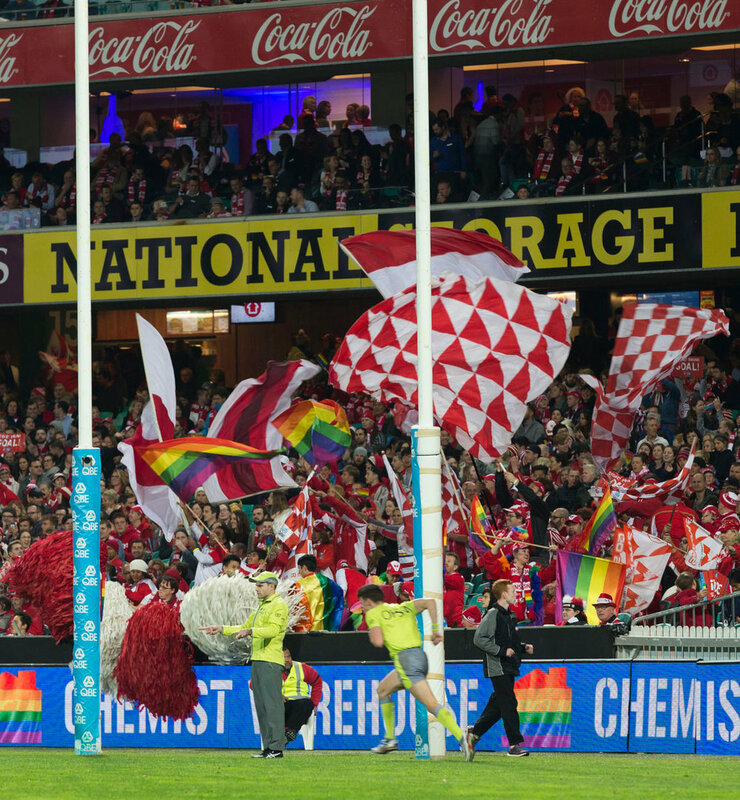 Since 2015, we've been recognised by the Sydney Swans as their official supporter group for members of the LGBTIQ community. Our mission is to eliminate discrimination and social stigma towards to the LGBTIQ community, and promote mutual recognition, respect and reconciliation in Australia. The 2018 season has been amazing. We started the pre-season with Finding Felix, Fair Day and marching in the 40th Anniversary of the Sydney Mardi Gras with the Swans. Our new away game partner, East Village Sydney, gave us a great place to call home when our boys are away. The Pride Round took us to Etihad Stadium with a weekend of events. 2019 Memberships are now available. Sign up now! Drop a message using the messenger button in the lower right corner if you have any questions. Details around our home game pre-match gatherings at The Beresford. Details around our away game gatherings.